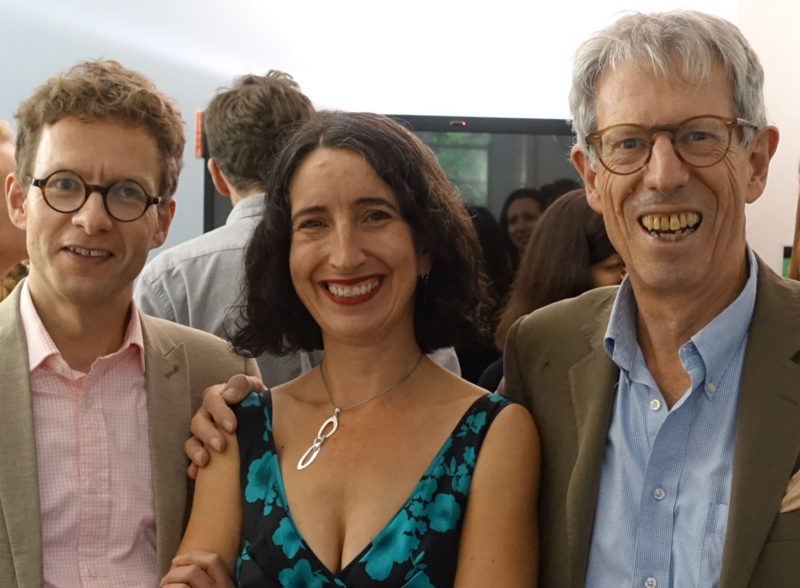 Lords appointments urgently need reforming: but how? The appointment of new peers last week has pushed the size of the Lords to its greatest since it was last reformed in 1999. Meg Russell highlights the issues behind having such a large and ‘unruly’ Upper House and argues the situation has now reached crisis point. Reform to both allow existing peers to depart and control new appointments is urgently required. Immediately prior to reform over 1200 members could potentially attend the Lords. The removal of most hereditary peers reduced that to just over 660. 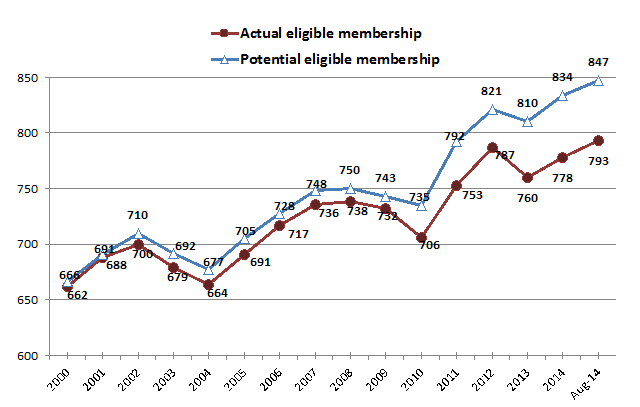 As seen in the graph, during Labour’s subsequent 11 years in office the number who could potentially attend increased by 69, to 735 (the lower line shows those actually eligible, excluding peers on leave of absence, disqualified or similar). During just over four years of coalition government the number has climbed by a further 112, to 847. There are currently 54 members on leave of absence etc, but even the size of the active House is now almost 800. Even these figures do not fully reflect how new appointments affect the working House of Lords, day-to-day. There have always been some peers who attended only rarely, many because of professional commitments outside the chamber, others because they are elderly. The size of the working House is most accurately demonstrated by figures on average daily attendance, as in the graph below. During Labour’s time in office (the red bars) average daily attendance rarely exceeded 400. 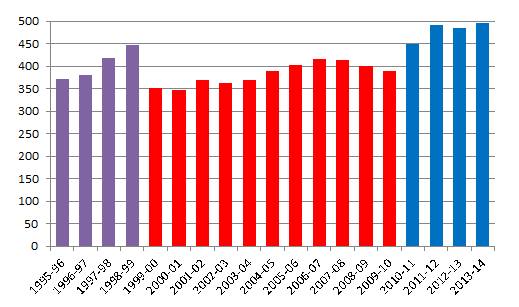 Under coalition (blue bars) it increased to 448 in the 2010-11 session, and 495 by 2013-14. With 22 new additions, the figure for 2014-15 may well exceed 500. It is striking that even in the period before the 1999 reform (purple bars), when the total number of eligible peers was far greater, average daily attendance never reached such levels. As my research and particularly my recent book has shown, the 1999 reform made the House of Lords matter far more in British politics. The departure of large numbers of hereditary peers gave the chamber’s members a new confidence, and also created a broadly proportional membership where no single party was dominant. Blair and Brown’s governments always lacked a majority in the Lords, and were thus forced to compromise over many aspects of policy (most notably civil liberties and constitutional matters). The coalition has also suffered numerous Lords defeats. So if the Lords becomes less effective this really matters: threatening to weaken parliament and the quality of parliament’s scrutiny over government. And peers have complained repeatedly since 2010 that this is the case. The overcrowding in the chamber makes it increasingly difficult for individual peers to be heard, and the atmosphere is described as increasingly ‘unruly’. Even more worrying than these size problems – but connected – is the fact that a Prime Minister who retains unregulated power over Lords appointments can potentially manipulate the chamber’s party balance to suit the government’s ends. As shown in the table below -summarising appointments under Blair, Brown and Cameron – prime ministers consistently choose more members from their own side than from the other parties. This leaves an incoming Prime Minister wanting to play ‘catch up’ after a change of government, by in turn appointing more from their own side. The result is an upward ratchet effect on size. Source: House of Lords Library to January 2010, updated. Excludes Bishops, hereditary peers and Law Lords. † Calculated from a monthly average, scaled up (Blair 121 months, Brown 35 months, Cameron 51 months). Although there is some consistency in these patterns, there are two ways in which things are worse under the coalition. First, Cameron’s rate of appointments has been higher even than Blair’s – which at the time was seen as excessive (Margaret Thatcher for example appointed an average of 18 peers per year). Second, Blair entered office at a massive disadvantage in the Lords: in 1997 there were 477 Conservative peers, and only 116 Labour making his desire to appoint understandable. Things changed substantially when many hereditaries departed in 1999, but Labour nonetheless became the largest party only in 2006 and was always outnumbered by the Conservatives and Liberal Democrats combined. Hence in contrast, the coalition entered office in 2010 already having more peers than the opposition. There are obvious advantages to a government in strengthening its Lords numbers: all governments want to win parliamentary votes. But, as I argued recently on Radio 4’s Westminster Hour, it is simply indefensible in a modern democracy that the government of the day can decide both the size of one chamber of parliament and its party composition. This may always have been the case, but in the last century the Lords mattered far less, and there was also more restraint in appointments. This problem has now reached crisis proportions, and something must be done. But what? Lord Speaker Baroness D’Souza recently argued that the new facility under the House of Lords Reform Act 2014 (previously the Byles/Steel bill) for peers to retire should be used to initiate a ‘humane cull’ of existing members. Baroness Boothroyd echoed these comments, describing the current overcrowding as ‘appalling’. 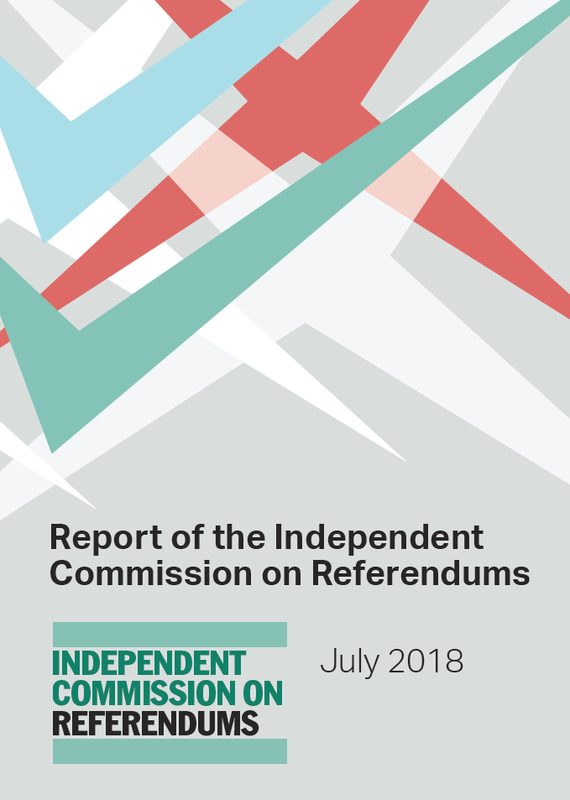 But – as I argued last year in evidence to the Commons Political and Constitutional Reform Committee (PCRC) – the real problem is not how members depart the Lords, but how they arrive. Peers retiring are likely to be among the less active, so would barely impact overcrowding. Crucially, peers (particularly Crossbenchers and opposition members) will not leave if they think that this will weaken their own group. Hence the PCRC concluded that the change with ‘most potential to have a positive impact on the size of the House’ was an agreed formula for sharing out appointments between the parties, which would bind the Prime Minister. This should ideally overseen by the House of Lords Appointments Commission. The PCRC stopped short of recommending any specific formula, and there has been little sign of progress since. 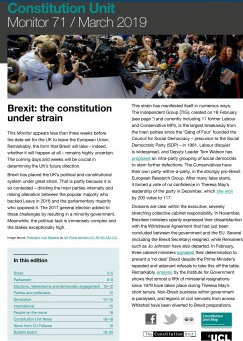 To encourage such a change – which is now essential to the functioning of the Lords – we will soon publish a Constitution Unit report demonstrating the effects of different formulas. We urge the parties to give this serious and urgent consideration. If they don’t, more drastic options do exist. In 2011 many senior figures added their names to an earlier Constitution Unit report calling for a moratorium on Lords appointments. Last year the Lords pulled back from agreeing a motion stating that the chamber should allow no further introductions of new peers. The longer this current problem goes on, and the angrier peers become, the more attractive such radical options surely become. 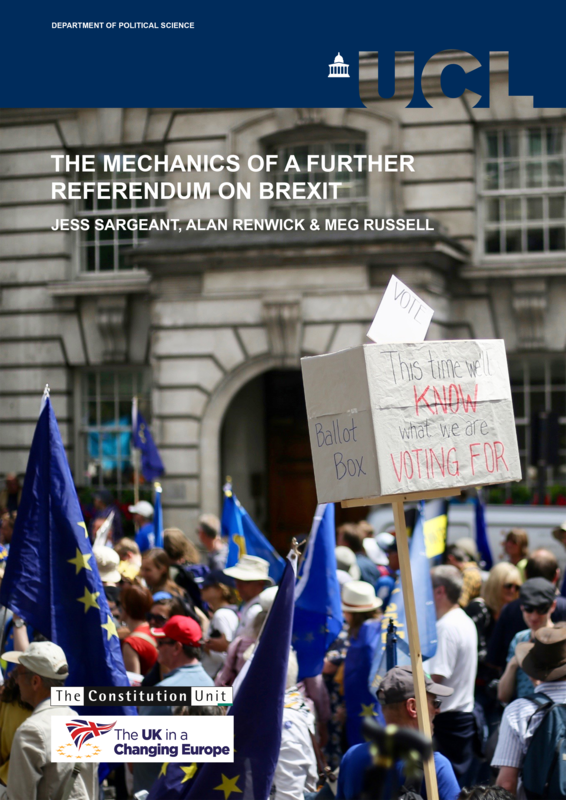 Meg Russell is Reader in British and Comparative Politics, and Deputy Director of the Constitution Unit at UCL. 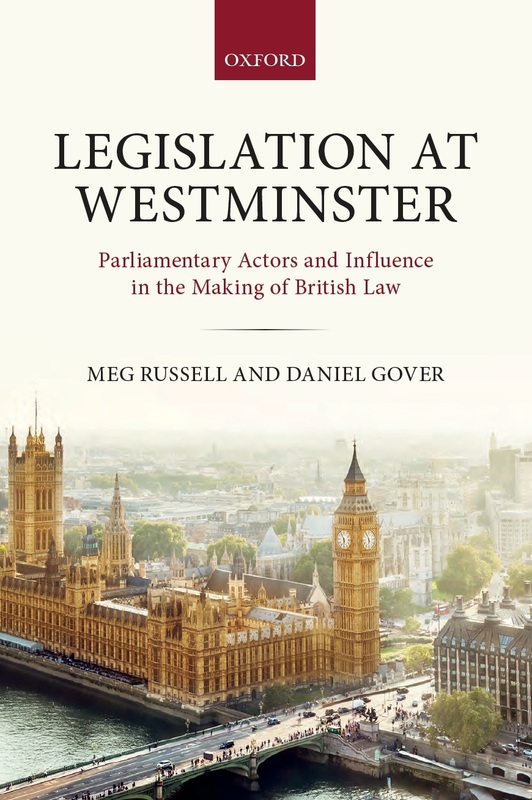 This entry was posted in Parliament and tagged House of Lords, House of Lords Constitution Committee, house of lords reform, Lords reform, meg russell, prime minister. Bookmark the permalink. Little, but some, sign of progress? The Lords recently debated the Labour Peers Working Group report and while that proposed an arbitrary and discriminatory solution, Lord Norton and others mooted a fairer alternative (http://www.publications.parliament.uk/pa/ld201415/ldhansrd/text/140619-0001.htm#column_952). For a piece on the debate see ukconstitutionallaw.org/2014/06/29/james-hand-lords-response-to-labour-peers-working-group-report-a-programme-for-progress-the-future-of-the-house-of-lords-and-its-place-in-wider-constitution/ (and for an evolutionary alternative to the Clegg Bill http://eprints.port.ac.uk/6772/1/HANDj_2011_AC_The_House_of_Lords_Reform_White_Paper_and_draft_bill_2011.pdf). c of the House of Lords themselves wiyh a perhaps 80% of seats available?